I used to think the surest way to attract expert opinion was to pop the hood on my truck. Then about a week ago I started tying flies. To be fair, I asked for the criticism… sort of. I posted a few photos of my feeble tying attempts on Facebook. As everyone knows by now, social media is the realm of experts. Folks will tell you whatever you “need” to know whether you want to know it or not. You can learn why you’re wrong about hating kale and you can learn that a lot of what you thought was settled science is far from it. The wisdom is passed along with just a whiff of condescension, but most experts feel like they’re providing a service. They won’t hide their light under a bushel. I don’t hide mine either. Expert advice is always given with the best of intent, and I enjoy the warm philanthropic satisfaction of sharing knowledge just like everyone else. If any of my fly tying mentors are reading this, know that I appreciate the advice, I do. But I don’t think my bobbin work is going to be about crafting the perfect fly copied true to proven form. 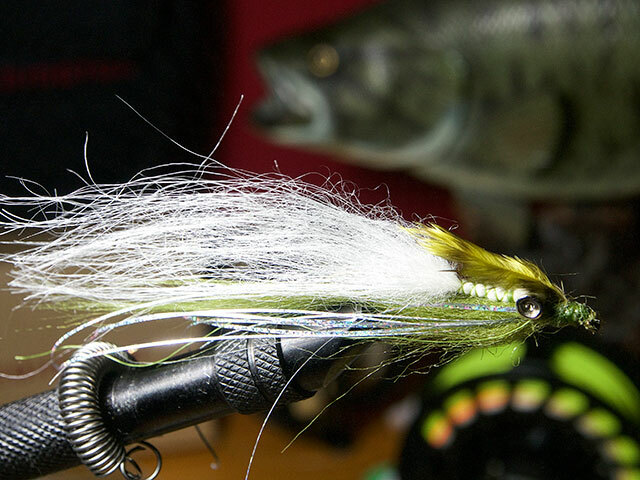 If I want a perfectly tied Clouser minnow I can buy a perfectly tied Clouser minnow, or I can ask some of my indeed expert fly tying friends to make one. I want to give the loose feathers, hair, and thread a chance to represent something more personal, even metaphysical in my hands. You may have a Zen-like mindfulness that transcends worry and a clear-headed decisiveness that knifes through thick uncertainty. If this is you then color me green because it’s not me. With every passing year, I become less certain that any answer is certain. No matter what silly delusions have been entertained, there are often various answers to whatever question we ask, and those options are dependent upon a range of variables. Every choice we consider is layered with nuance and defined by context that we may not understand. And it never ends. The questions erupt in a gushing, crushing torrent of white, and the fearsome currents foment even more questions. Solutions are slippery. You just can’t pin them down. It can drive a person to near madness if you let it. I know. I try to find ways to neck down that flow, to slow the deluge, to consider one thing at a time. This is one reason I fish. Meditation and a little Tennessee whiskey every now and then also help. But apparently the crazy needs even more throttling, because now I tie flies too. After only a week I can tell it’s working. It’s a here-and-now activity with future implications. Crafting each fly is like capturing and taming one of those questions. I can work with deliberateness, at my own speed, and always with the opportunity for revision. And I am guaranteed an answer. One answer. It can go only two ways. As I wrap and dab and clip and tie, I envision the question gently tumbling among rocks and bubbles in impossibly clear liquid before the water slows to a deep and mysterious hue. This is where my answer lies. I’ll have my yes or no in the coming months. It’s an absolute. Over the last four decades, I’ve grown intimate with my local smallmouth bass. I know where they spawn and which pools they frequent during the sultry green noons of summer. I know which riffles always produce a take and the stretches of creek where only a wraithlike approach and the stealthiest presentation will bring a strike. In those places I know I’ll only get one shot, one opportunity to ask the question I so desperately need answered. This year, that question will be more personal. It can’t be a copy of someone else’s idea of what works. It must be mine, crafted within the context of my experience and with subtle realizations learned from a lifetime on home waters. I know that either answer will bring more time at the bench, more refinement, more focus on everything down and tight to the intersection of fish and fly. If only all of life’s riddles could be laid at the creek’s altar and answered with such resounding certitude.